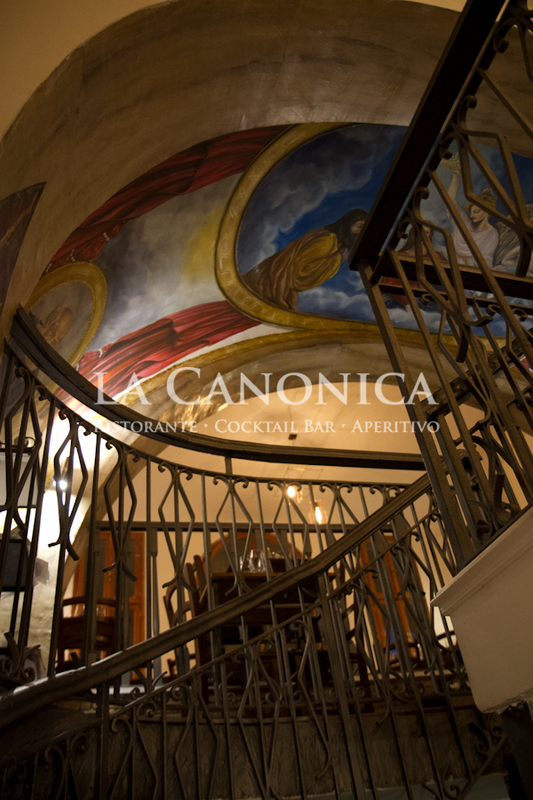 In the heart of Trastevere in Rome, in Vicolo del Piede there is a small church, today deconsecrated, founded in the early seventeenth century for the Brotherhood of the Souls of Purgatory, and since that time the oratory of Santa Maria in Trastevere. In 1675 it was granted to the Arch of SS. Sacramento of Santa Maria in Trastevere, words that you can still read today in the architrave above the front door. A Byzantine icon of the eighth century, depicting the so-called “Madonna of Mercy” was an object of worship. After 1870 he remained closed for eighteen years; then restored and enlarged, it was reopened for worship on March 10, 1888. Above the door, in the interior, there was a marble inscription, expended by the brothers in 1705, remember the benefits and privileges with which Clement XI, already primicerius and then protector of the brotherhood, decorated it together at the altar of the small oratory. When the Brotherhood ceased to exist in the early twentieth century, the chapel was deconsecrated and converted to civilian use. The interior of the oratory, with a rectangular plan with three naves and a few remains of the ancient frescoes. 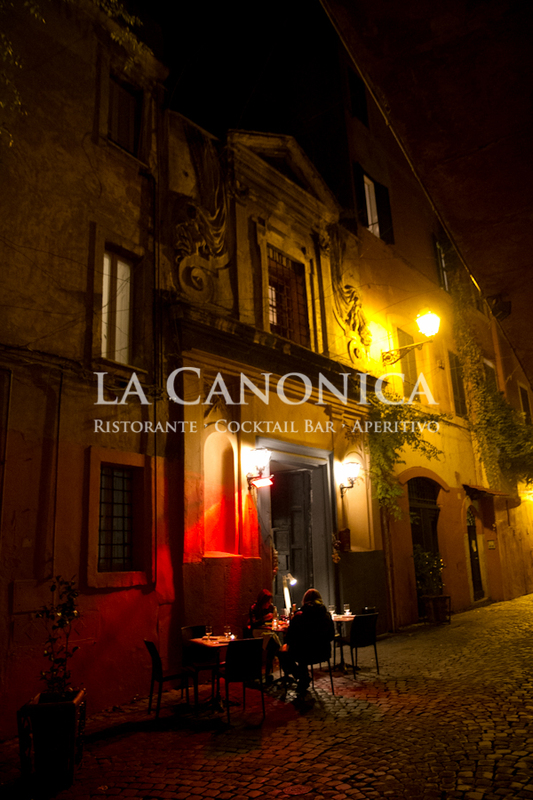 Ristorante La Canonica is located in Rome, in the Trastevere quarter, in Vicolo del Piede. Vicolo del Piede connects via della Pelliccia to Via della Paglia and his name is very uncertain. There are various interpretations, ranging from the classic sign of an “osteria” at the foot of a statue in a walled house, the shape of the lane itself to the Latin expression “ad pedes”, in the sense of “at”, perhaps for the narrow alley relationship with the nearby basilica of Santa Maria in Trastevere. The Trastevere neighborhood is among the most beautiful and characteristic of Rome, the center of night life and food and wine. Celebratewith us your events: birthdays, graduations, baptisms, weddings, parties, etc.